Bayfront on Bonita Beach- modern, beach access, pool, community docks !!! 2 Bedroom , Two Full Baths, Sleeps 4 -Newly Renovated!!!! Located on Bonita Beach Road, this newly remodeled condo gives all the comforts of home with the luxury of waterfront living. This quiet unit is situated between views of Hickory Bay and Bonita Beach, steps from the swimming pool, the bay and the beach. The condo is appointed with all new appliances, cabinetry, corian counter tops, central air, washer/dryer,ceiling fans, lanai with refreshing cross breezes, and comfortable luxurious furnishings. Two bedrooms provide privacy, peace and quiet. The open living room, dining room, kitchen and lanai provide the perfect venue for entertaining or enjoying the waterviews. After a day of beach or bay, take the free local shuttle to the world renown restaurants and avoid the traffic and parking. Minutes from Fort Myers RSW airport, golf courses and restaurants. Two newly remodeled bathrooms, master with extra sitting area. My wife & I live in Northern IL and for the past 7 years we have been coming to SWFL for the winter months. This year, we decided to spend the winter months at our North Carolina home instead of traveling to SWFL. The weather in North Carolina was extremely wet and colder than normal. We made the decision to find a condo in Bonita Springs for April 1-15, and we were successful. Jane had an opening for her condo that met our time frame so we left North Carolina on March 27th and after a few stops on the way, we arrived at Beachwood on the Bay on April 1st. The condo was perfect! It was exactly as pictured on the website. Great view from the 2nd floor overlooking the back bay. We enjoyed watching boaters on their day boats and pontoons go by. Getting in and out of the parking lot onto Bonita Beach Rd was a breeze since most of the winter snow birds had left for the respective northern homes at the end of March. The condo is nicely decorated and the large 55" TV in the living room was perfect for watching the Masters Golf tournament. What a great finish to my favorite golf tournament. We had several friends visit us and they all agreed that Jane's condo was ideal. We liked Jane's condo so much that we asked to rent it again for the same time period in 2020.. We hope that it is available. We highly recommend Jane's condo to anyone who wants to spend a wonderful time in sunny, warm SWFL. Very nice property. Great location. We have been coming here for several years and we enjoy it immensely. It is right across the street from the beach and has a great pool overlooking the backwater. 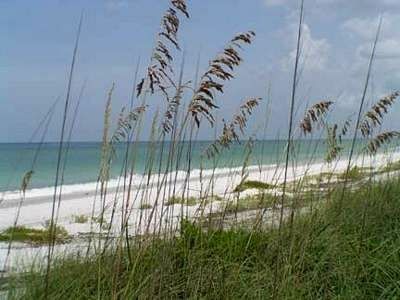 You are sure to see dolphins, manatees, and beautiful birds. The location is close to shopping, restaurants, and many outdoor activities like kayaking or boating. All you need is a bathing suit!!! My wife and I have been staying at Jane's condo for 10 years. Need we say more. Always very clean and great value for a bay view and easy access to Bonita Beach across the street. I would highly recommend her condo to anyone. nice, quiet and peaceful, great vacation! our second trip. the new floor looks good and timeless. beautiful condo for perfect holidays. we come always back. Condo is very nicely decorated and roomy. There is so much wildlife to view from the bay while sitting on the screened lanai including ospreys, herons, pelicans and fish jumping out of the water! It was also fun to watch the pontoons, boats and kayakers. The location is just across the street from the beautiful beach with easy access to shopping, shelling and the many nearby restaurants (try Doc's Beach House for casual dining and great grouper). We appreciated the menus left by previous tenants and added some of our own as well as the pamphlets and magazines of nearby attractions which included maps. Be prepared for heavy traffic if you plan to stay during Spring Break. Other Activities: Waterfront Galore ! Numerous public golf courses. The best of SW Florida! !